The North Carolina Sheriffs’ Association (NCSA) is proud to offer the sheriffs of North Carolina the Inmate Medical Costs Management Plan. This very helpful and cost saving initiative provides all participating North Carolina counties a way to save valuable taxpayer dollars on off-site inmate medical bills. The NCSA established the Inmate Medical Costs Management Plan in 2011 as a way to help sheriffs’ offices and their counties to protect their annual budgets from the rising costs of their inmate’s medical needs, and to ensure inmate’s medical billing is accurate and free from any billing inconsistencies and errors. The Inmate Medical Costs Management Plan has no enrollment fee and Sheriffs do not pay anything if the Plan cannot provide the county with any savings. Since inception the Plan has helped save North Carolina counties millions of dollars in off-site inmate medical care. In one case, a small, participating North Carolina county was able to save over $250,000 in their off-site inmate medical bills. This savings has allowed the county more flexibility in their annual budget to allow for the hiring of additional sheriff’s deputies to help keep our communities safer and more equipment to help keep their sheriffs’ deputies safer. The Plan is administered by Prime Health Services, LLC whose mission is to provide PPO, medical management and related cost containment services to a variety of clients including North Carolina detention facilities. 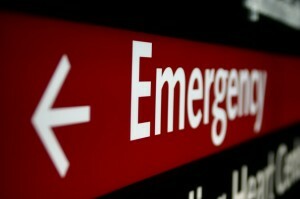 Prime Health Services is a nation-wide leader in medical cost-containment. 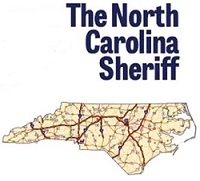 If you are a sheriff’s office and would like additional information on the North Carolina Sheriffs’ Association’s Inmate Medical Costs Management Plan please contact Jason Bennett, NCSA Director of Business Development, at 919-459-8195 or jbennett@ncsheriffs.net.